A federal court rejected accused Russian spy Maria Butina's request that she be removed from solitary confinement and into general population. Judge Tanya Chutkan said that Butina's lawyers failed to provide substantial evidence to back up the request. They cited no case law, no statutes and only asserted their understanding, "based on hearsay and speculation," as to why Butina had been segregated from the rest of the prison population. Butina is being held on federal charges at a detention center in Alexandria, Virginia. In a filing Tuesday, her lawyers had complained about the conditions of her confinement, being imprisoned in a cell the size of "a parking space," with no "meaningful human contact of sensory stimulation for 22 hours a day." Butina previously spent over two straight months in solitary confinement but was then briefly placed in general population, her lawyers wrote. On Nov. 21, she was removed "for her safety" after she was found giving another inmate her lawyer's phone number. Her lawyers argued the action does not constitute a "major or minor" infraction worthy of being held in solitary confinement. Butina, a 30-year-old Russian national, was indicted and arrested in July on charges of conspiracy and acting as a foreign agent. Prosecutors allege she infiltrated U.S. political groups and worked on behalf of a high-ranking Russian official with close ties to Russian President Vladimir Putin. The case was investigated by the Washington, D.C. field office of the FBI, with charges brought by the U.S. attorney's office of the District of Columbia and the National Security division of the Justice Department. It's not a part of special counsel Robert Mueller's probe into Russian interference in U.S. elections. 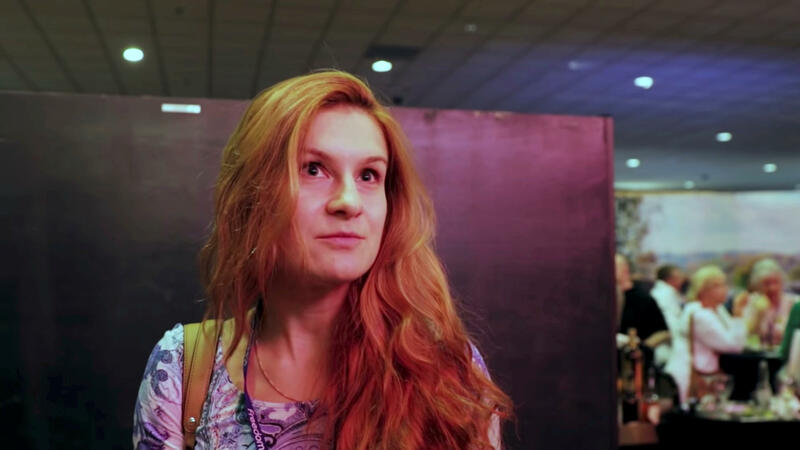 Her lawyers said the deprivation of human contact was "starting to have a profound psychological impact" on Butina, who they warned might require mental health treatment if she continues to be held in isolation.